Breaking with tradition is exhilarating, but sometimes cutting edge design feels a little cold and impersonal. There are ways to ease into contemporary design, incorporating some of its sleek materials, glossy finishes, and minimalist approach while still retaining the warmth of traditionalism you crave. Here’s how to indulge your love of contemporary style without sacrificing the warmth and comfort that makes a house a home. 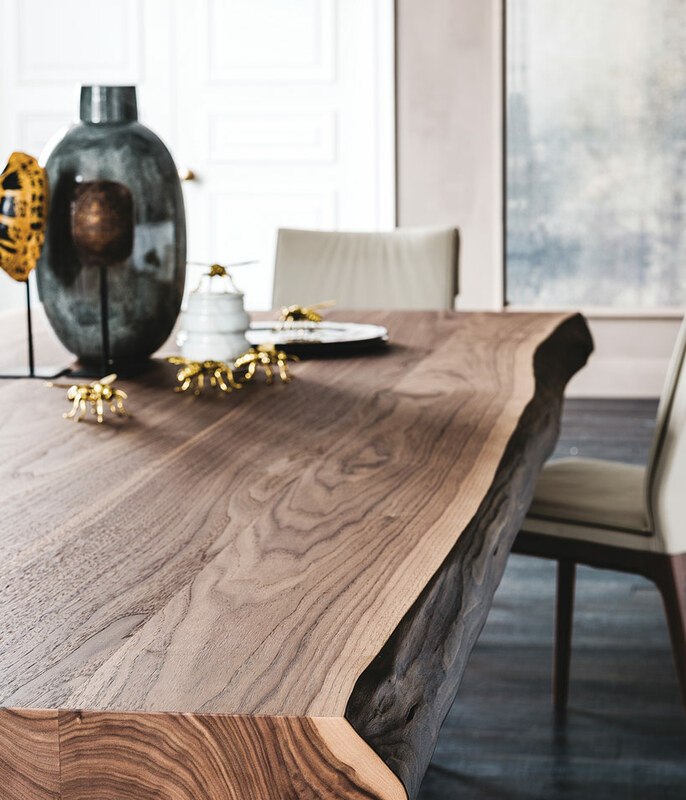 The natural texture of raw wood creates interest and energy. If a room has a lot of neutral colors or too many similar surfaces, use textured furnishings and accents to create visual interest and a lived-in feel. Think tufted sofas, long pile or heavily patterned rugs, faux fur throws, raw wood surfaces, and jute or other natural fiber floor coverings. Build every room around a focal point, whether it’s a large work of art or a television. This prevents the viewer’s attention from becoming diffused, which can make them feel uneasy. Very large rooms can have more than one focal point. making this room feel human and lived-in. deployed to great effect here. Don’t feel that your selection of furnishings and accessories has to be constrained to the 21st century. Sometimes, an older piece you truly love can provide exactly the unique touch a room needs, and the contrast — as opposed to clash — of old and new can be truly refreshing. Consider familiar chairs in a more contemporary fabric if they really seem out of reupholstering place — a simple change of color or pattern can have a revolutionary effect. You’ve successfully decluttered, but now the room looks bare and impersonal. Create displays or clusters of those idiosyncratic items that are so you — keeping them contained rather than scattering them around is a great compromise that’s far easier to live with. When designing a space, be honest with yourself about how it makes you feel. A trusted interior designer will help you balance contemporary furnishings with more traditional design elements if the overall effect isn’t working for you — after all, the most carefully curated space in the world is only doing its job if it makes you happy! Tangible results – Use textured furnishings and accents to create visual interest. Zone of influence – Add a large bookcase to define zones and personalize the room. Into focus – Build every room around a focal point, whether it’s a TV or a large work of art. © 2019 Contemporary Home Magazine. All rights reserved. A Contemporary Design Group Publication. Website designed by Evoke Solutions.